Morrisville, NC – Last month, the Western Wake Farmers Market moved to its new location in Morrisville. Looking ahead to the busier Spring and Summer, the market is starting a fundraising campaign. 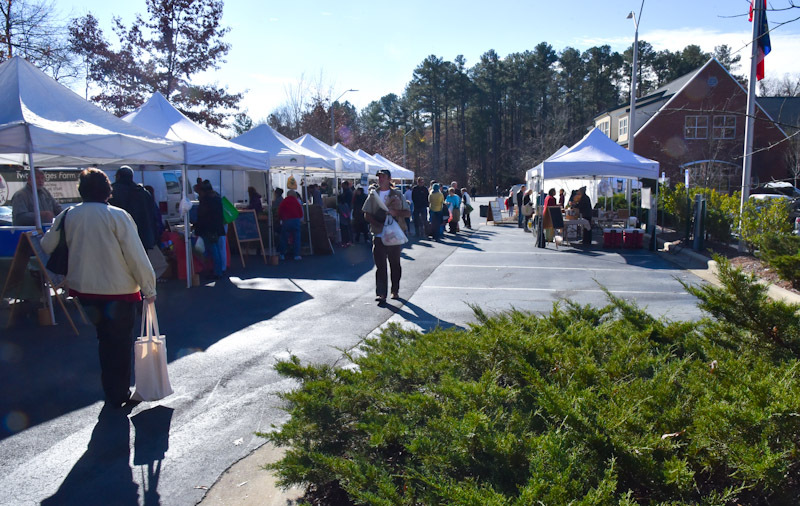 The Western Wake Farmers Market held its first market in its new Morrisville location on Saturday, December 3, 2016. One week later, they launched their fundraising campaign for the market’s permanent site. Jim Pellegrini, president of the Western Wake Farmers Market, said they have been reaching out to people through all kinds of channels, from social media to one-on-one selling. “As board members, we know lots of people and we give out information at the market,” Pellegrini said. Since launching the fundraising website on Saturday, December 10, 2016, Pellegrini said they have had close to 3,000 visitors and thinks they will be able to meet their $50,000 goal, with the campaign running through February. And as a 501(c)(3) non-profit, donations to the campaign are tax deductible. The campaign is going toward the permanent site for the market, which will be located North of the current site on Town Hall Drive in the Public Safety Building parking lot. Pellegrini said the new location they have settled on will be a good fit for both the Town of Morrisville and the farmers market. “It’s got some engineering features that make it impractical to build on so this is the perfect use for the location,” Pellegrini said. And while the Western Wake Farmers Market has been at its temporary spot in Morrisville, after having to move due to development at their previous Carpenter Village location, Pellegrini said it is preparing them for the eventual new home. “It will help us learn about what traffic is like in the area before we go to the permanent site,” he said. With the Western Wake Farmers Market moving in December, at the start of Winter, Pellegrini said crowds have been about as expected. In the Spring and Summer, Pellegrini expects larger turn-out but said this is also part of the temporary site’s restrictions. A rendering of the permanent site, which is expected to finish construction in Summer or Autumn 2017, shows how much more room it will have compared to the current spot. It will continue the Western Wake Farmers Market tradition of having a tent market. “Even though a permanent structure would be nice, the tents allow for flexibility that some larger farmers markets don’t have,” he said. 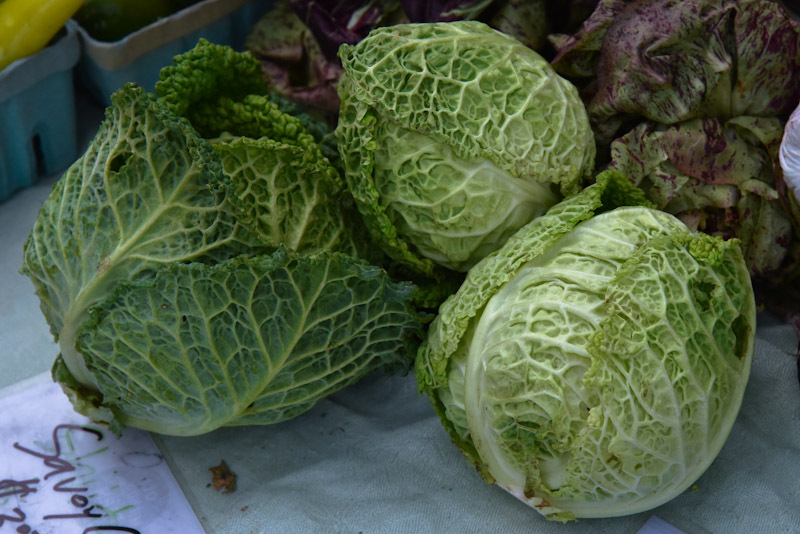 Since the Western Wake Farmers Market is a seasonal market, Pellegrini said there is a variety of produce that is best to get at this time of the year. Everyone at the farmers market is made within 100 miles and Pellegrini said it is a great destination for cooks of all kinds. “You can feed your family through farmers market produce,” he said. The Western Wake Farmers Market is currently open at 260 Town Hall Dr. on Saturdays in Morrisville. Story by Michael Papich. Photos by Hal Goodtree and the Town of Morrisville.